Today’s players are shooting the puck in ways that we’ve never seen before – and it’s the young players that are leading the way when executing deceptive shooting techniques. Quickly changing the shooting angle creates challenges for goalies and shot blocking defencemen. The young players in today’s game have an enhanced awareness on the ice and are quick to make split second decisions with the puck. Players skating and edge control skills combined with their ability to control the puck outside their skates allow them to explore new and creative ways to shoot. Pair that with the latest stick technology, it’s easy to see why the past few season have revolutionized the way players can launch pucks. The Hockey IntelliGym is a breakthrough cognitive training technology that hones hockey sense and has been scientifically proven to improve player safety, heighten spatial awareness and foster better anticipation of the play. Download the program now. The three shooting scenarios are from three of the games young stars: Auston Matthews, Brady Tkachuk and Elias Pettersson. Auston Matthews’s ability to change his angle of release has made him a threat to score from anywhere in the offensive zone. Brady Tkachuk uses his speed and threat to go to the net to manipulate the defender and change the angle of his shot for his first NHL goal. Elias Pettersson uses his ability to control the puck outside his skates and hides his lightning quick release inside his stride. Both hands are in front of the body and the top hands and elbow pull back and the front hand pushes through whipping the kick-point of the stick and the puck explodes off his stick. Watch all three video clips again to see the importance of controlling the puck outside your skates, using a ‘set-up’ move to create deception, keeping the head and eyes up and getting the hands off your body and using the Top-hand Pull / Bottom-hand Push to change your shooting angle and shoot the puck more explosively. Video Coach is a series of articles which reviews a video clip from game action and then breaks down the sequence into frames identifying key skills, individual and team tactics, strategy and hockey IQ. Video is a great teaching tool that can be used by both players and coaches. The Hockey IntelliGym is a breakthrough cognitive training technology that hones hockey sense and has been scientifically proven to improve player safety. 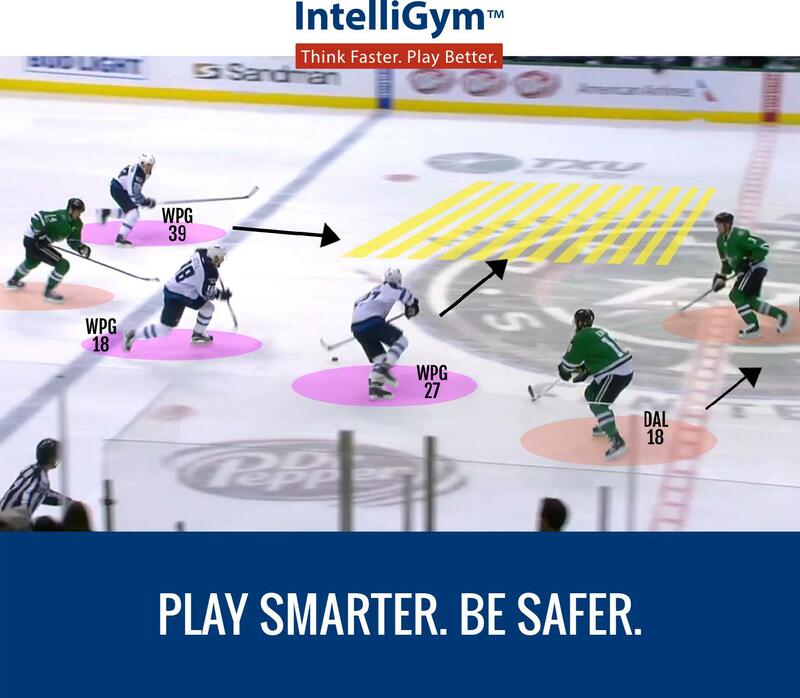 IntelliGym has been used by thousands of players - from OHL teams to USA Hockey to OMHA Minor Midget champions - to improve individual players' points total, heighten spatial awareness, and foster better anticipation of the play. Recent research from the University of Delaware suggests training with IntelliGym is a great way to reduce concussions and other on ice injuries. The software, which can be used on any computer, can be purchased here. "What I'm noticing with IntelliGym is that it compliments my use of area games or situational pressure drills in practice. My players are recognizing and executing their options faster than they have in the past. This improvement has translated to games. They are moving to open areas to support their teammate with the puck." Ian Taylor is the Executive Director of the OMHA and former Director of Hockey Development. A proud hockey dad of two, Ian has over 25 years of instructional and coaching experience.